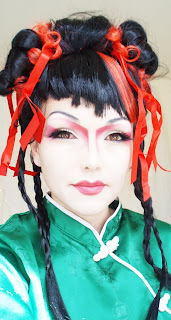 a) this is the sneak peek look at the next video coming up....my "Kandee version of Geisha INspired Costume make-up!!!! No, I didn;t cut my hair, but I didi style it very "jem" like!!!!! c) I think it would be great if any and or all of those were true! We are now at Disneyland.....I keep falling asleep typing this.......gotta go sleep ...me and my video camera and family are going to DIsneyland tomorrow!!!! I love Disneyland.....!!!! thanks for all your love and support guys....huge love from the "princess of disneyland".....and I'm working on all the Disney Princess looks too! And you are so lucky to be in Disneyland...hope you are having a great time! haha nice once Kandee, have PLENTY of fun there, I'm sure it's gonna be huge! and take lots of picture for kandeeland blog we wanna see the princesses you girls are! Its a great thing too Kandee..Happy Birthday to you mom!! and as for the rest I´m sure that you´ll find a true companion and your sucess as a professional mua will be fruitfull and one day you´ll have your own kandee show on TV!!! have a great day or night!! Ps. i think some girls on youtube are copying your video ideas...like Pursebuzz and its becoming annoying that everytime you post a video on something she posts also one of the same theme..also the kind of videos you make with the funny annotations and all..she´s now doing the same...its sooo lame! I´m unsubing her! LoL you are true!! the geisha look is awesome! i can't wait for you to do a jasmine look she's one of my favorites. Luv the Geisha look and cannot wait to see your look! Luv them all so far. You are the greatest! Your videos are uplifting and so much fun to watch. Awww. So sweet to surprise your mom! Happy birthday Kandee's mommy! Can't wait for this "glameo"! 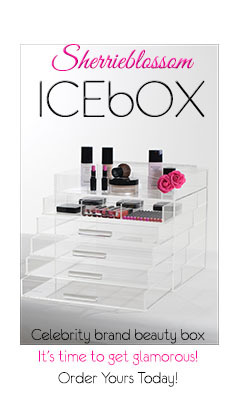 These new look is amazing, totally stunning, I want to see this tuto right now! wow you really look asian, and so adorable! I hope you and your mom have fun at Disneyland! that's such a nice surprise. :D and yay disney princess looks! Yay! Can't wait to see you as Jasmine! It's so sweet that you are doing a party for your mother! That's really awesome! I love your Geisha look! I took Japanese in college and I adore the culture! VERY cool! OOOOH! Disney Princess would be an awesome look! I'm 25 and still wish I was a Disney Princess! LOL! aww the look is really cool! have a wondrful happy disneylanDay! I love the Geisha look! I was actually thinking of being that for Halloween anyways! omg i just love it! :) awesome look lol. but i'm kinda starting to get sick of all this cousumis looks so what about anthor makeup/style video? You are the best guru on youtube! You are just fun to watch! Thank you for all the looks! Just FYI, that look doesn't look exactly like Geisha but more of a Chinese mannequin (those we burn after someone passed away... the deceased is suppoed to receive things via burning... lol) Either way, it looks like a really fun tutorial! Thanks! yay! do belle from beauty and the beast or tinkerbell! Happy Birthday Kandee's mom! I wish I could go to Disneyland too. Can't wait for the Disney princess glameos. This will totally help me with my niece's costume. if you will be a disney princess, choose Ariel! omg, Kandee is in my backyard!!! OC girl here. Next time you need a hookup on good hotel room rates (snywhere and especially in OC) let me know, I will email you more info, always happy to help you. You truly inspire me on a daily basis, it's the least I can do. Have fun at Disneyland! Have so much fun in Disneyland! I have a request for you...can you please come to Chicago to do a Glaminar? I absolutely love Beauty and the Beast. I am going to have Belle's gold dress in white as my wedding dress when I get married. That dress is absolutely beautiful. Happy birthday Kandee's mom! Wishing you a Happy Birthday and many more to come. Wishing you many more good and prosperous years. I'd like to request either a greek goddess or mermaid makeup. You get to make up the princesses?! AH! I love Aurora, she's my favorite, and now she'll be more of my favorite since you get to work on her! Oh my goodness, that looks so amazing! Yay! Can't wait for a series of disney princess looks!! -Snow White was modeled after Betty Boop!! YA Disneyland!!! I want to bring my kidoz there, you are going to have a BLAST!!! I love this look...well I love every look you have done so far... I don't plan on being a Geisha but I want to do it at home just cuz it's fun!!! I must say you have truely inspired and awakend my creative energy. I used to "play" and do crafts so much more when I was younger and you have helped me realize how much I miss doing that. The ability to just be creative in everything I do! OK so without going on a rampage about how AWSOME you are I just want to say THANK YOU KANDEE!!! please have lots of fun for me! i've lived in california my whole life but have never been able to go to disneyland. so have extra extra extra fun and take lots of videos! I cant wait to see your geisha tutorial! <3 you look so different! You actually look oriental! haha! amazing!!!! YAY!! IM SO EXCITED YOUR DOING A GEISHA LOOK! !...thats what i requested..woo hoo :) and im so excited for you that your going to disneyland yay :) i hope you have a wonderful day!! I LOVE DISNEYLAND! i am a kid at heart and i think i always will be! (8 i hope you have fun! happy bday to your mamma! OMG I wanted to ask if you could do a Siouxsie Sioux kind of makeup style and this is so close too it!!! YAY thanks! PS hope you had a fab time at D-land!